Weight Lifting Belt is a strong lifting belt for athletes who wants maximal support during heavy lifts. Unlike many other belts on the market, this one is made out of 100% genuine leather with a padded back and a soft suede inside lining. It has a regular size with a 10 cm wide back support and is equipped with a secure double prong buckle. 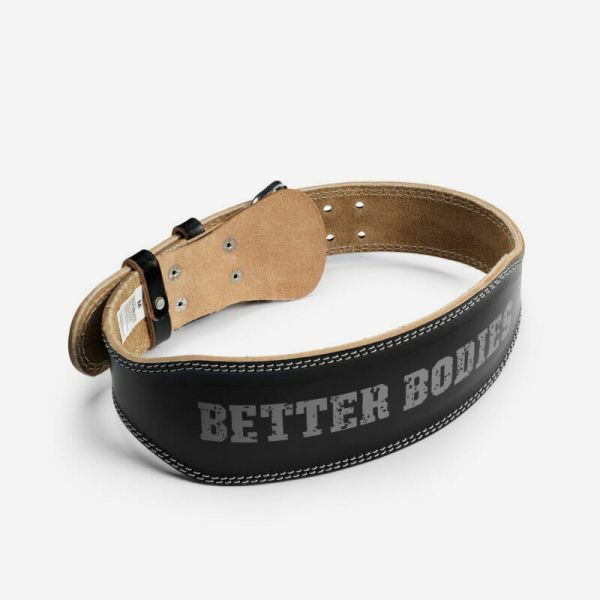 Weiterführende Links zu "Better Bodies - Leder Weight Lifting Belt, black"
Kundenbewertungen für "Better Bodies - Leder Weight Lifting Belt, black"